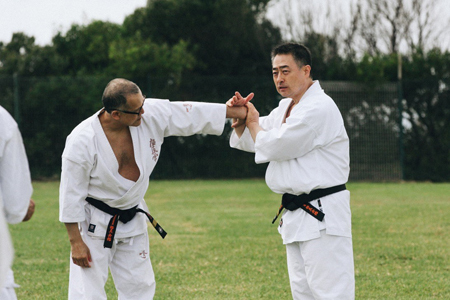 The 2019 IKO Kyokushinkaikan South Pacific Intensive Training Seminar was held at Bondi Beach, Sydney, Australia from the 8th to 10th of March, and hosted by Shihan Trevor Tockar, North Bondi Dojo. Training sessions were led by Kancho Shokei Matsui. 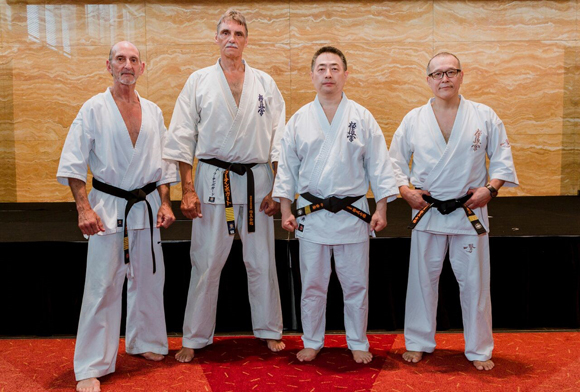 accompanied by International Committee members, Shihan Kenny Uytenbogaardt and Shihan Katsuhito Gorai. 140 participants took part in the 3-day event, including IKO South Pacific Branch Chiefs, as well as instructors & students from Australia, New Zealand, New Caledonia, Canada, South Africa, USA and Japan. The event was opened by the Wandana Aboriginal Educational Ceremony, with an Acknowledgement to Country, Didgeridoo, and a Cleansing Ceremony. 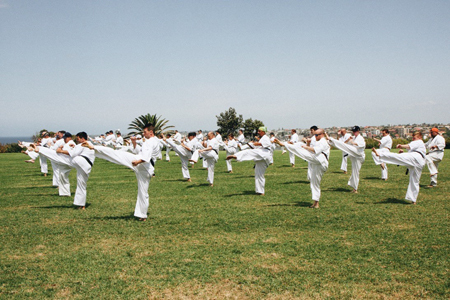 Instructor training was held outdoors by Kancho Matsui, and covered posture, the mechanics of our warm-up system, and advanced breakdown and application of Kihon basics. 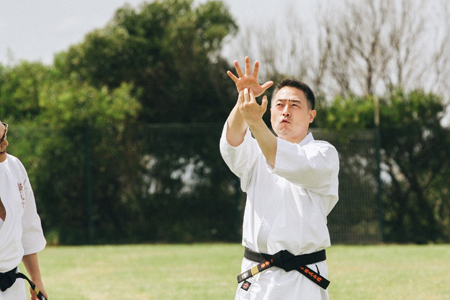 Additional training sessions led by Shihan Uytenbogaardt and Shihan Gorai, focused on the technical dynamics and practical applications　of Ido Geiko, stressing fluidity in movement, and speed and timing in Uke Kaeishi block & retaliation. 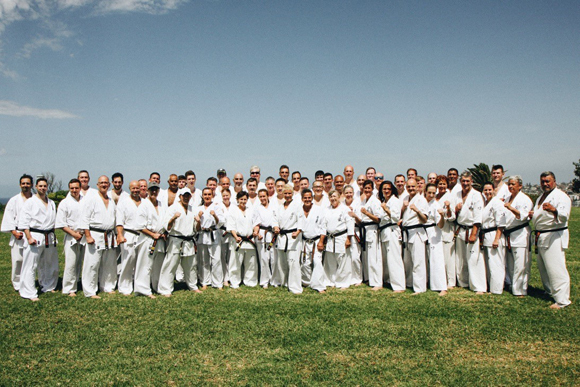 The event coincided with an Anniversary Celebration Party marking Shihan Tockar's 50 Years in the Kyokushinkaikan. Kancho Matsui made the keynote address commemorating Shihan Tockar for his lifetime achievement and commitment to the organization and encouraging all participants to work together to bring Kyokushin Karate forward to the next generation. OSU!